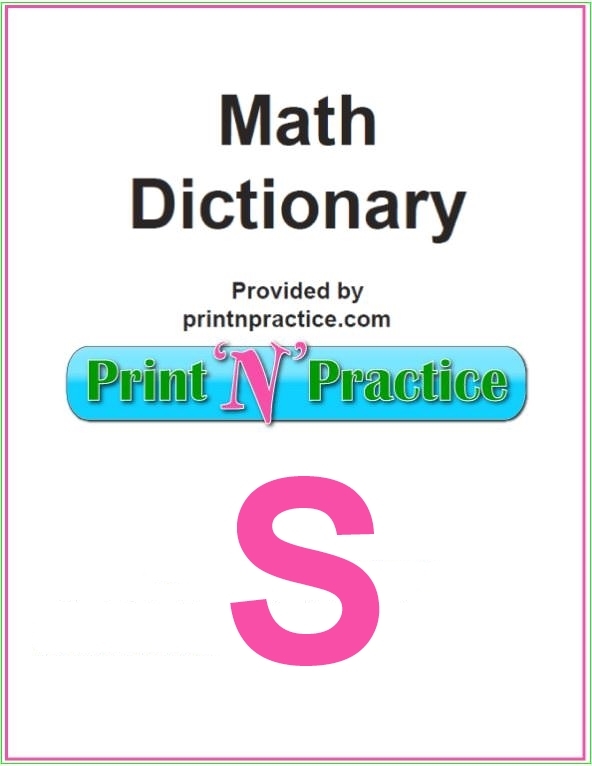 Welcome to our math words that start with S. This is the S page from our math dictionary at the bottom of this page. 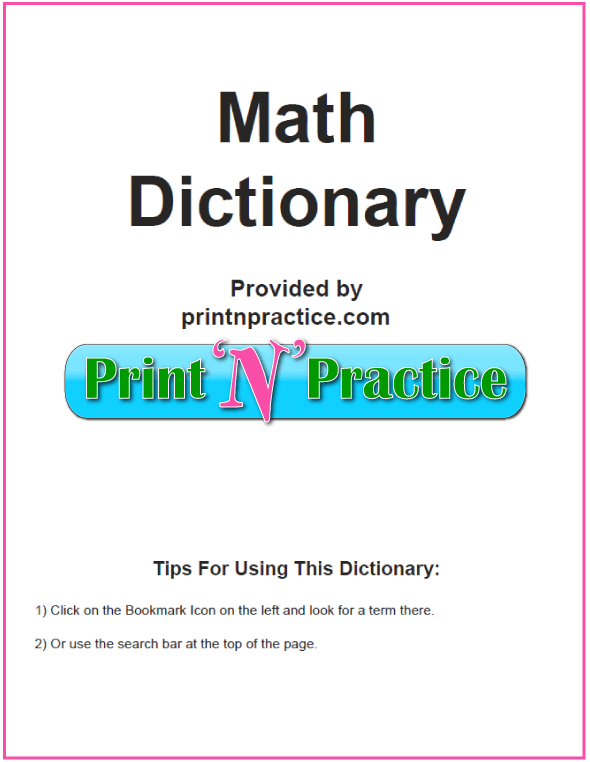 Math Words That Start With S online here or print the math dictionary below. Sales Tax - the tax charged on the sale of an item and based on the item's purchase price, figured as a percent. Same Side Exterior Angles - angles located outside a set of parallel lines and on the same side of the transversal. Same Side Interior Angles - angles located inside a set of parallel lines and on the same side of the transversal. Sample - a part of a population used to conduct a survey; subset of the population. Scale - a type of number line used to measure things. Scalene Triangle - a triangle where no two sides are the same length. Scatter Plot - a graphical representation of the distribution of two random variables as a set of points whose coordinates represent their observed paired values. Schedule - a list of events organized by the times at which they are planned to occur. Scientific Notation - a way to write a number as the product of a number between 1 and 10 and a multiple of 10. Secant - a straight line that meets a curve in two or more points. Sector - a non-overlapping piece of an object. In the context of a spinner or a circle graph, a “sector” is one of the sections of the graph. Sector of a Circle - a pie shaped portion of the area of the circle. Segment - Line Segment - the finite piece of line that connects two points in space. Self-Similarity - two or more objects having the same characteristics. Semi-circle - half of a circle. Semiannual - twice a year. Sequence - a list of numbers that typically changes according to a pattern. Series - the sum of a sequence. Set - a group of objects. Side - a line segment that is part of a polygon. Signed numbers - negative or positive numbers. Significant Digits - the number of digits to consider when using measuring numbers. There are three rules in determining the number of digits considered significant in a number.1) All non-zeros are significant. 2) Any zeros between two non-zeros are significant. 3) Only trailing zeros behind the decimal are considered significant. Similar - having the same shape, but not necessarily the same size. Similar figures have matching angles and proportional sides. Similar Figures - two geometric figures are similar if their sides are in proportion and all their angles are the same. Similar Polygons - have their angles equal, each to each, the same number of sides, and the sides about the equal angles proportional. Similar Solids - those which have their solid angles equal and like placed, and are bound by the same number of similar and like-placed polygons. Similar Triangles - triangles whose corresponding angles are congruent and whose sides are proportional. Simple Fraction - one which has a single integral numerator and denominator. Simple Interest - the sum charged for the use of the principal. Simple Proportion - an equality of simple ratios. Sine - the ratio of the opposite side to the hypotenuse. Skeleton Division - a long division in which most or all of the digits have been replaced by asterisks to form a cryptarithm. Slide Rule - a calculating device consisting of two sliding logarithmic scales. Slope of a Line - tells us how steep a line is and whether it’s going up or down. Slope of a Linear Function - the slope of the line y = mx + b is the rate at which y is changing per unit of change in x. The units of measurement of the slope are units of y per unit of x (cf Linear Functions Discussion). Snub Cuboctahedron - created by either truncating tips of the cube or the octahedron. Snub Icosidodecahedron - created by either truncating the dodecahedron or the icosahedron. Solid - a three-dimensional figure. Solid of Revolution - a solid formed by rotating a plane figure about an axis in three-space. Solidus - the slanted line in a fraction such as a/b dividing the numerator from the denominator. Sphere - a three dimensional circle. Spherical Trigonometry - the branch of mathematics dealing with measurements on the sphere. Square - four sided figure (quadrangles) having four sides that are equal in length and four right angles. Also, a product of a number multiplied by itself x2, (x)(x). Square Free - an integer is said to be square free if it is not divisible by a perfect square, n2, for n>1. Square Number - a number of the form n2. Square Numbers - the answer when you take an integer and multiply it by itself. Square Root - the number x is said to be a square root of y if x2 = y. Square Unit - a square with sides of desired length. Standard Deviation - tells how spread out numbers are from the average, calculated by taking the square root of the arithmetic average of the squares of the deviations from the mean in a frequency distribution. Straight Angle - an angle that measures 180o and thus forms a straight line. Subjective Theory of Probability - a number that measures how strongly we believe an event will occur. The number is on a scale of 0% to 100% (or 0 to 1), with 0% indicating that we are completely sure it won’t occur, and 100% indicating that we are completely sure that it will occur. Subscript - in mathematics, subscripts are numbers or letters written below and to the right of other numbers or letters. Subset - a set whose members are part of a bigger set. Subtraction - a basic operation of arithemtic in which you take away one number from another, the process of finding the difference; the inverse of addition. The minuend minus the subtrahend equals the remainder. 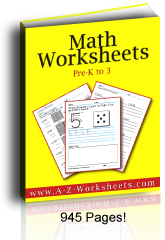 Subtrahend - the smaller number in a subtraction problem. The minuend minus the subtrahend equals the remainder. Sum - the result of adding two or more numbers, the answer in an addition. Summation - notation to represent a series. Superscript - in mathematics, superscripts are numbers or letters written above and to the right of other numbers or letters or symbols indicating how many times the latter is to be used as a factor. When typing, one can represent a superscript by using the ^ symbol to indicate raising the number. Supplementary - two angels are supplementary if they add up to 180º. Surface - has length and breath. Surface Area - a measure of the number of square units needed to cover the outside of a figure. Survey - a method of collecting data about a particular population. Symmedian - reflection of a median of a triangle about the corresponding angle bisector. Symmetry - the correspondence in size, form, or arrangement of parts on a plane or line. In line symmetry, each point on one side of the line has a corresponding point on the opposite sidee line. Plane symmetry refers to similar figures being repeated at different but regular locations on the plane. System of Equations - have more than one equation and more than one variable to solve (the unknowns). 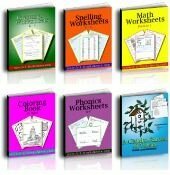 Be sure to show the roots of words and how prefixes and suffixes change the meaning of words in a Math vocabulary so your students understand more words than the ones you are teaching. Even the very first word on this list, sales tax, could be expanded to include the term sale with the discounts that it generates as it is a totally different idea than a sales tax, etc, even though the Math for a tax and a discount is the same. Here sales is an adjective to the word tax here, so your students will understand more if they understand the greater meanings of words. I wouldn't work with the word tax before fourth to sixth grade, and then only with faster students who can understand rates and percentages.